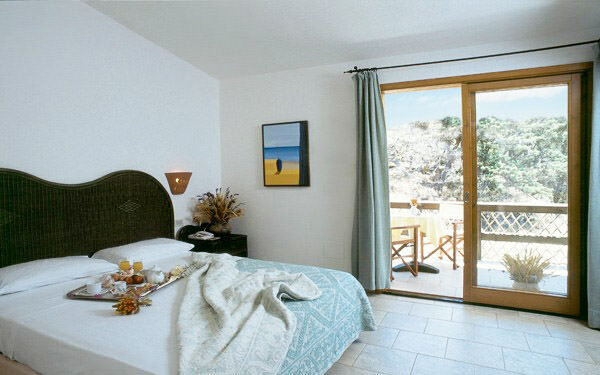 The Hotel Le Rocce is a 4 star hotel located within the Resort Le Dune at Badesi, in the North of Sardinia. Perfect for those looking for peace and quiet. 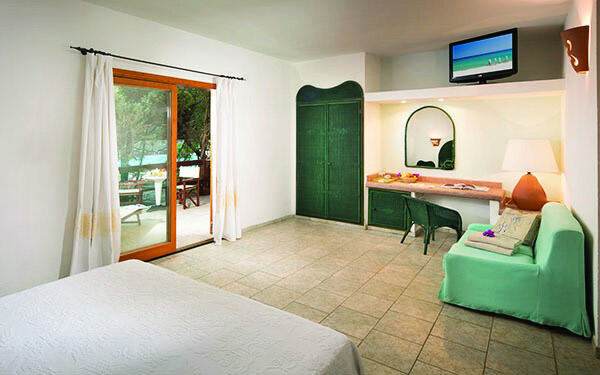 The Hotel Le Rocce is located in an area of luxuriant greenery within the Resort Le Dune and has 58 Superior and Superior Family set around the Le Rocce swimming pool. A generous breakfast is available with buffet service around the swimming pool of the Il Romantico restaurant. 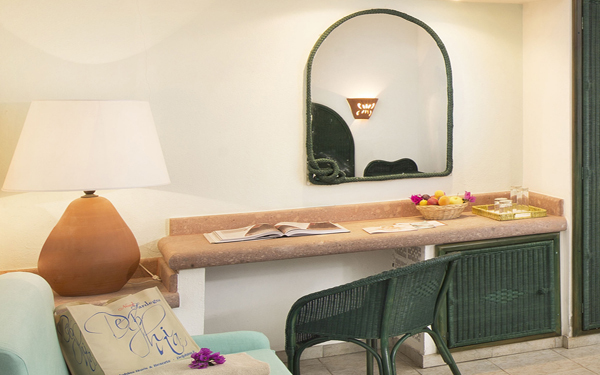 For an extra charge guests can enjoy breakfast on the veranda of their own rooms. For all guests of the Hotel Le Rocce there is free beach service with sun loungers and parasols. Beach service on the first and second row carries an extra charge, depending upon availability. 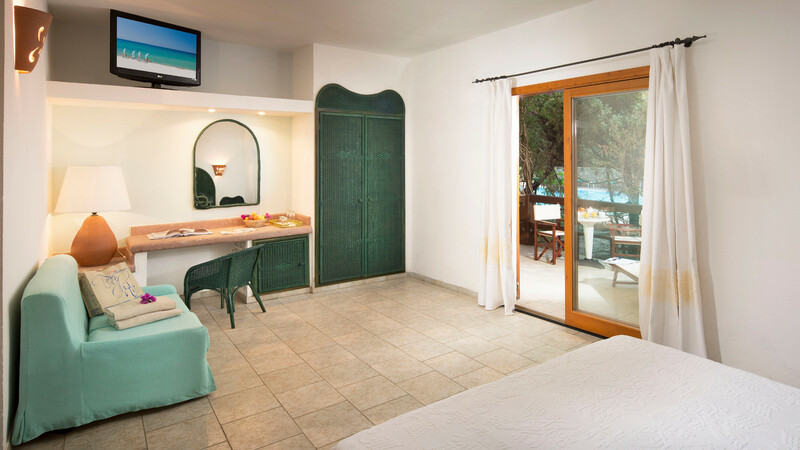 All the rooms have been carefully decorated by expert local craftsmen and have a furnished veranda with a view of the resort’s gardens, bathroom with shower and hairdryer, air conditioning, safe, TV, telephone, minibar and beach towels. Room with double bed for two adults or twin beds available on request, plus single sofa bed to sleep a third guest aged up to 13 years old as well as a child aged from 0 to 1 year old in a cot. 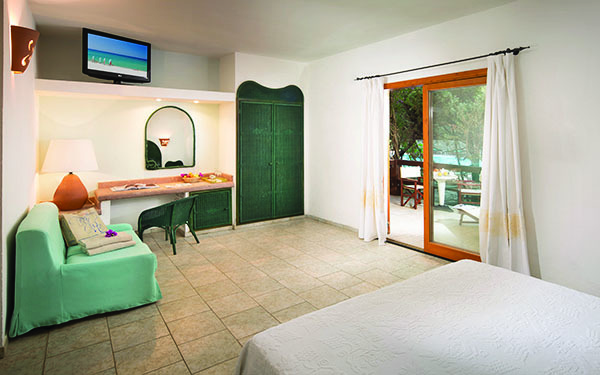 Spacious accommodation consisting of two Superior Rocce rooms interconnecting from inside, each of them with double bed or twin beds available on request, single sofa bed and en-suite bathroom. Bedroom for four adults with the option of sleeping two children aged up to 13 years old and two children from 0 to 1 year old in a cot.